Back to back #1s for Carly? 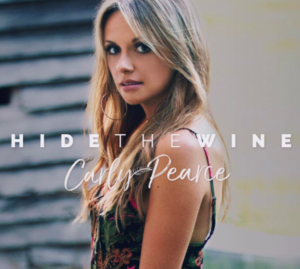 Love that Carly Pearce’s first single went all the way to #1 at country radio. She’s one of the best new artists out there right now. And we all know that country radio has been ignoring women for at least five years. It’s great that Carly has been able to bring her sound to the top of the charts. And she’s got a nice little traditional style to mix in with some current sounds. I love it. Here is her followup. It’s another good one. This is another one of those clever titles. You never know exactly what direction the song will go and this one definitely went in a little bit of a surprise direction. It’s about a woman that knows that she needs to get away from this guy. He’s kind of that Casanova in her life. The guy that she gives into. But also the guy that doesn’t really love her back. Or at least doesn’t think of her that same way that she thinks of him. But he’s always there for a night of loving. But that’s just about it. Just a skin-deep lust. So the woman knows that he’s back in town. She knows that she needs to turn off the love music. She needs to turn all the lights up. She needs to hide the wine. All the things that could make things go a little too far when he comes around. And all that’s mixed up with a great melody. Busbee did a really good job on the production on this album. And so did Carly.